1. 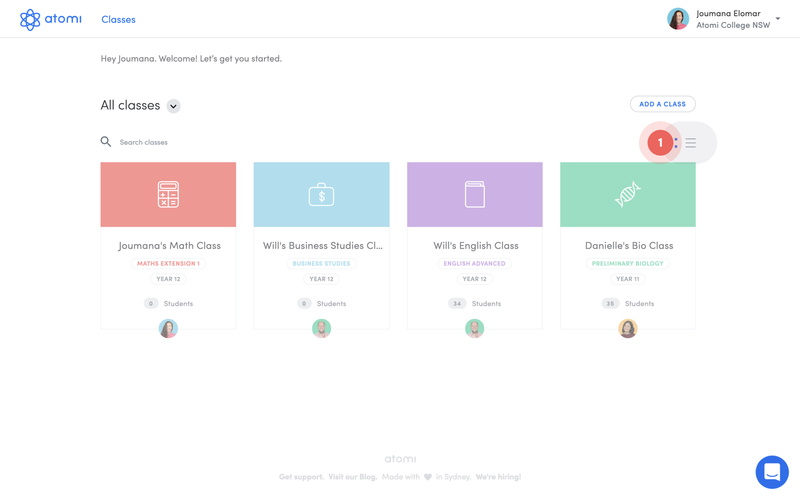 From your dashboard, click on the class you'd like to edit. 2. 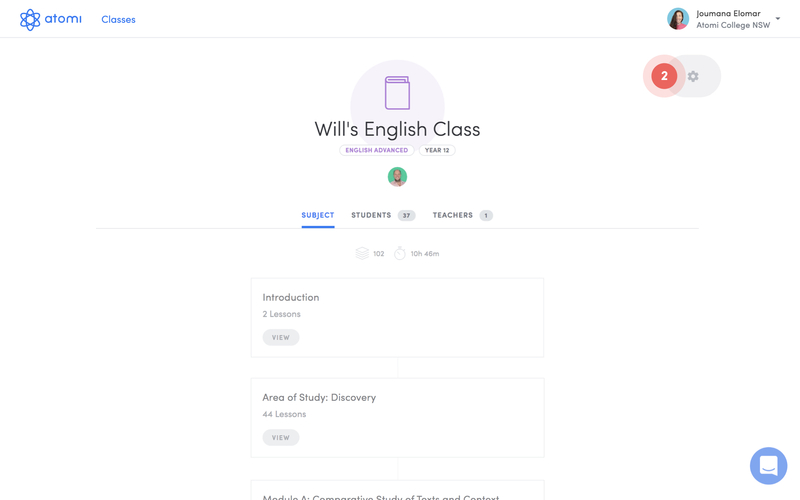 Once in the class, click on the grey settings (cog) icon in the top right of your screen (just below your name). 3. 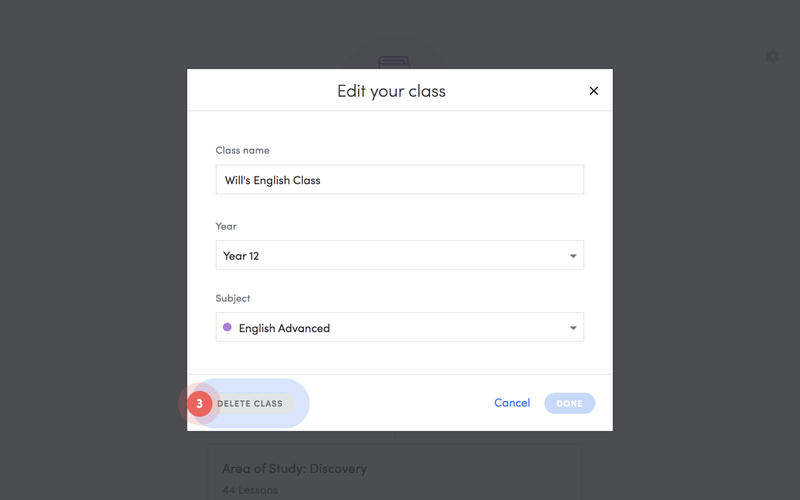 You can now edit the class name, year or subject fields as needed or delete the class by clicking on the delete button on the left. Using the list view to bulk delete classes. 1. 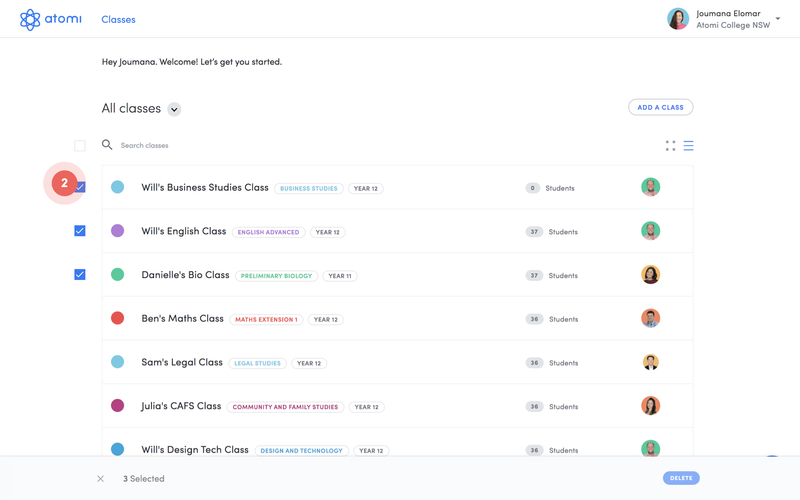 From your dashboard, click on the list view icon below the Add a class button to view your classes as a list. 2. 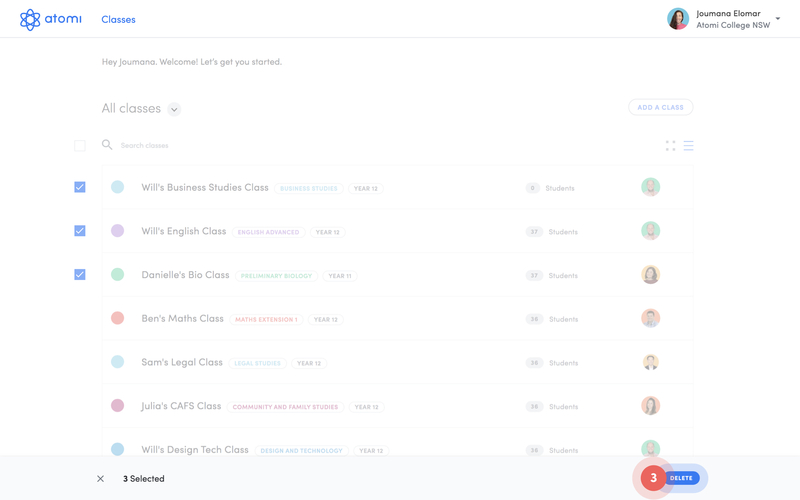 Hover over the class rows and select the checkboxes (to the left of the class row) of the classes you want to delete. You can select all by checking the top most checkbox. 3. 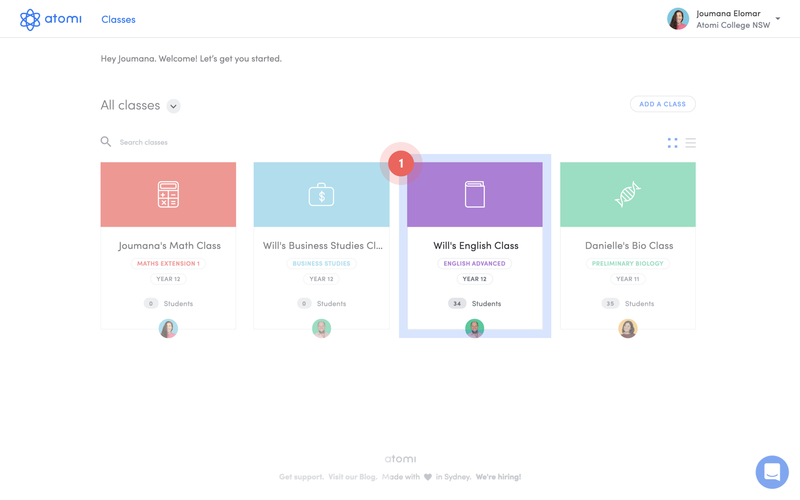 Once you've finished selecting the classes, click the blue Delete button on the bottom right of the screen in the bulk action bar to complete the action.